First I got to say 2010 was a great year for my personal work and I’ve got even bigger plans for 2011. I still have some projects to finish off from 2010, including making a new photo book through blurb, like I made in January last year, only a new one for all the photos I took last year. I also need to make one of these books and catalogue my images and text posts on my photo of the day blog. 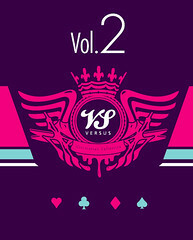 There’s also the final Versus Vol1 packs to still go out to agencies, but I’ve made a start by improving the logo and a new colour scheme for Vol 2! Volume 2 will be a competition, so everyone gets to try and be in the project but also there will be an extra product that all the running ups can be a part of. I not quite ready to launch plans for volume 2 yet, but it will be soon! I still need at least 2 judges to help me pick the winners this time, I’m thinking a graphic designer (that’s me), an illustrator and a creative/art director, to cover what’s cool and needed in the industry. I also have some promo ideas for Afterdark including my planet posters, but I might do some other posters to add to the art direction for the website. 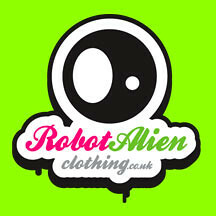 Now me and Xander are ready for the next proper launch and have some funds ready, there will be a Spring range of our Robot Alien t-shirts coming, where I’m going to have a website and a photoshoot to sort out. So that’s 2011 for me right now, there is another big project in there, but I can’t talk about it just yet, but I know you’ll like it when it’s done!